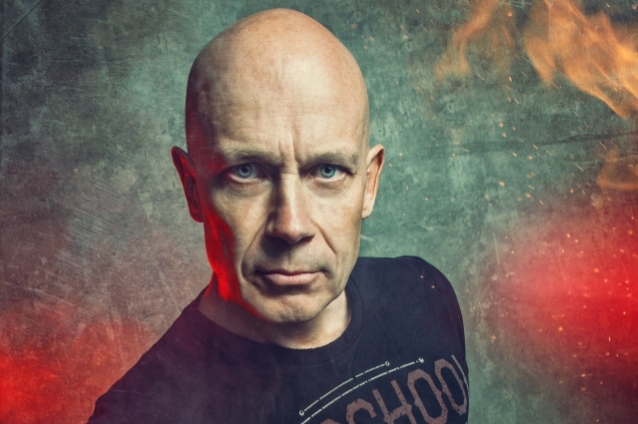 ACCEPT guitarist Wolf Hoffmann recently spoke with Rodrigo Altaf of Sonic Perspectives. The full conversation — which took place prior to the departure of bassist Peter Baltes — can be streamed below. A few excerpts follow (as transcribed by BLABBERMOUTH.NET). Wolf: "It just came up, because I was asked to play a show with my solo album, 'Headbangers Symphony'. I was invited by the Wacken people, and then one thing led to another, and all of a sudden, it was like, 'Hey, you are there, ACCEPT is there, the symphony orchestra is there. Why don't you guys play some ACCEPT songs? ' We agreed to that, and there it is, for the first time ever. I've had a lifelong fascination with classical music and orchestra sounds and whatnot, and finally, after all these years, it's a lifelong dream come true." Wolf: "I was. The guys didn't really care, because it was not their necks sticking out — it was me. [Laughs] I was surely nervous, because I had no idea how that sort of festival crowd [was] going to react to instrumental stuff based on classical themes. That's why I picked the more metal songs, the more uptempo songs off my record, because I knew that they could get into that maybe a little easier than if I was, say, [to] play some really slow Bach or something." Wolf: "I started about a year before the show with my good friend Melo Mafali. He's sort of the architect or the maestro in all these arrangements. He and I'd just sit together in the studio and pick out some songs that we felt were right for orchestration. Some others, we didn't even attempt, but everything that we did attempt worked really well thanks to the way that he happened to write this stuff." Wolf: "Not yet. The next thing on my agenda is the next ACCEPT album first and foremost. Sometime down the road, I might write another classical album. Now that we've played that Wacken show, we've got a little bit of a taste of the whole thing. We wanted to do some more shows, so we booked some more orchestra shows for next year, starting in Europe. We're going to go all over the world with it. I think it's metal enough for metal fans to get into it, but it's also different enough to where other people that don't normally go to rock shows can maybe enjoy that sort of stuff a little bit. It's a little bit of a crossover effect, I believe." Wolf: "I do, actually, and a lot of fans tell me they even think the new material is maybe even stronger than anything we've done in the '80s. When I hear that, that makes me very happy, because that's sort of the highest compliment ever if you can get better with age... There's a lot of output that's really consistent, and fans really appreciate that. There's younger fans that discover ACCEPT now and go back in time and discover earlier records, so it's not just fans that have followed us for forty years. There's younger guys out there, and that's a great sign. I'm super-happy about that whole development." Wolf: "Germany is less trend-oriented, maybe. In America, it's always [that] something is super-hot, and then everybody jumps onto the next super-hot thing and forgets about the past, where Germany, it's much more long-term. They don't really care what's hot on the radio – they love their metal, and they stay true to it. I don't know why that is; I just notice that it is, and that makes me very happy of course, because it's great for us." Wolf: "We've worked with him four times in a row because we really like [him], so I almost forget how it is — I can't even imagine right now how it would be to work without him. We're a great team; we work together really well; and I hope we can continue to use him even now that he plays with JUDAS PRIEST. I think we'll find the time to work together again. He gets that sound — he really gets that sound. I don't know how he does it, and I leave him alone with it. I know he does it and he does it well, so I don't question it and I don't interfere. He's doing his part, and he's doing it well. I love Andy — he's great." 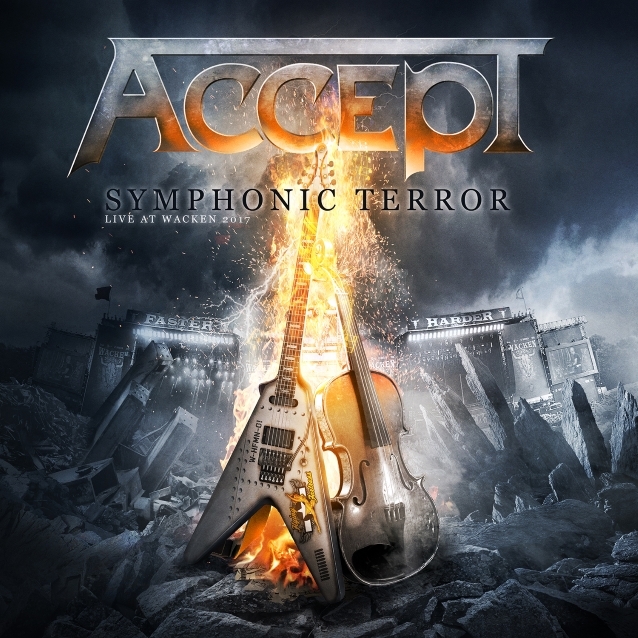 "Symphonic Terror - Live At Wacken 2017" was released last month via Nuclear Blast.